The Scar Free Foundation’s major medical research campaign to achieve scar free healing within a generation was launched in London on 19 July 2016. The launch, at The Royal College of Surgeons of England, included presentations by Professor Maggie Dallman, Professor John Iredale and 16 year old burn survivor and Scar Free Foundation Ambassador, India Gale. 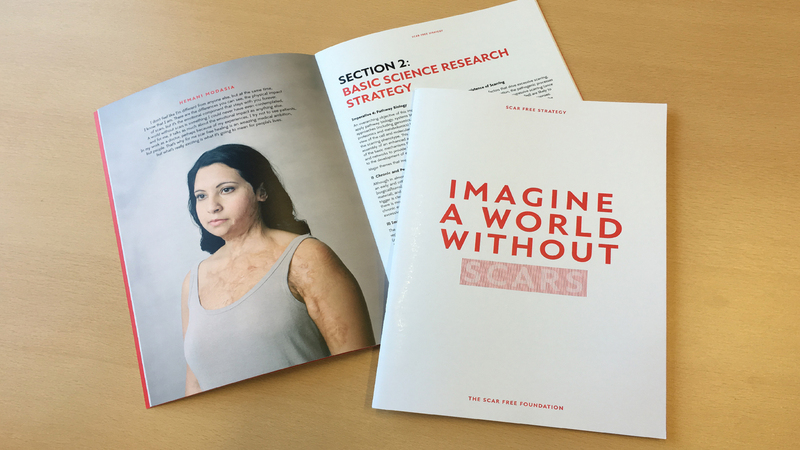 Commenting on the publication of the charity’s Scar Free Strategy, Professor Dallman said, “Scarring is common, costly and deeply affects those it touches as well as the people closest to them - while internal scarring can be life threatening. “The Scar Free Foundation is starting a globally significant movement. We will develop scar free healing within a generation and achieve one of the most important new developments medicine and modern healthcare has ever seen”. The Scar Free Foundation is the only organisation in the world offering the leadership, collaboration and funding to deliver scar free healing. It is focused on raising £24m within the next five years from UK donors to kick start an internationally relevant programme of work.